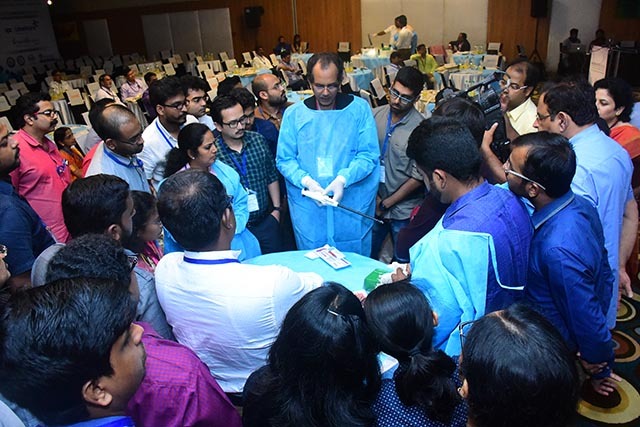 MISCON 2018 (Live Workshop and Wet Tissue Sessions) – was held at Hotel Holiday Inn, Kochi, on 20, 21, 22 July 2018. 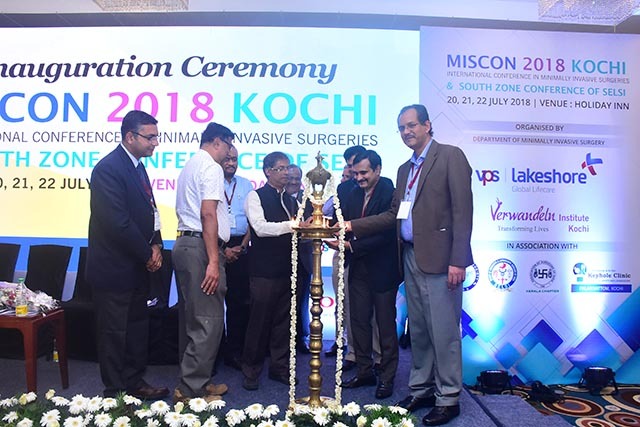 MISCON 2018 was organized as the South Zone Conference of Society of Endoscopic and Laparoscopic Surgeons of India (SELSI) . 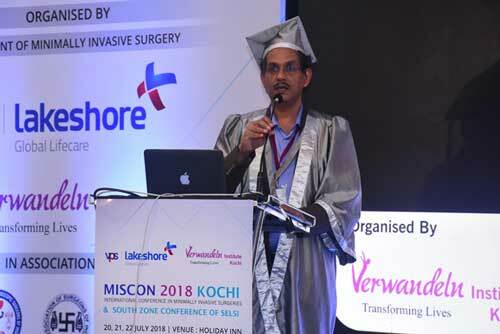 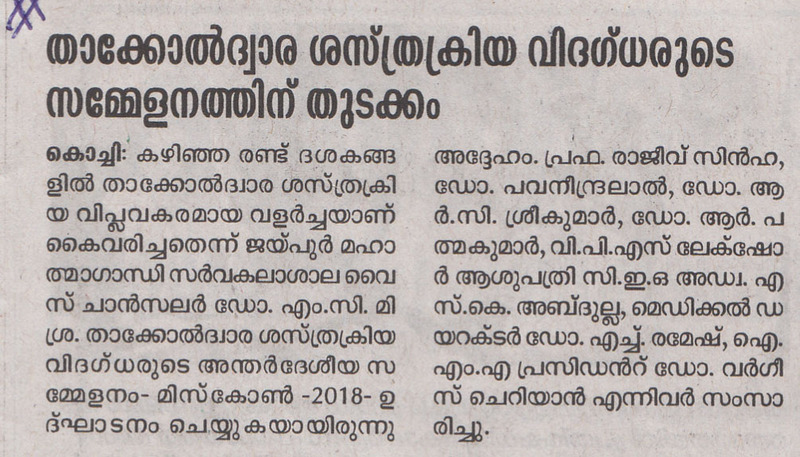 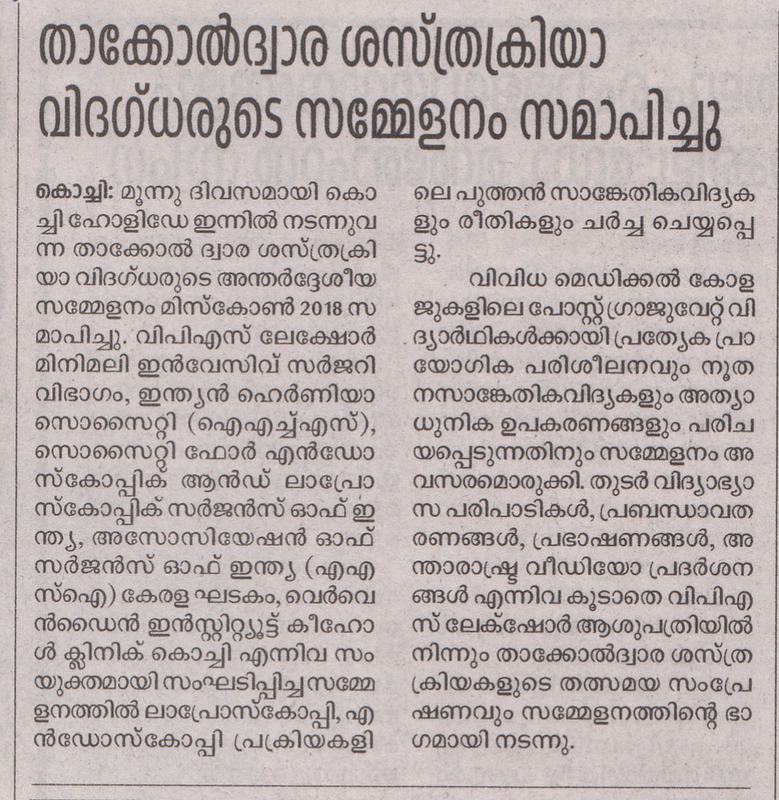 The Conference was jointly organized by Dept of Minimally Invasive Surgery, VPS Lakeshore and Verwandeln Institute Kochi (Center for MIS training) in association with Association of Surgeons of India (ASI Kerala Chapter) , Indian Hernia Society (IHS) and Society of Endoscopic & Laparoscopic Surgeons of India (SELSI). 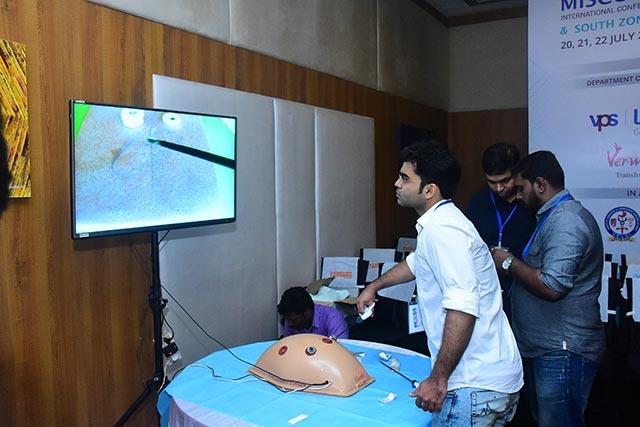 On 20th July - Pre-Conference Workshop with hands-on sessions for PGs and young surgeons were conducted. 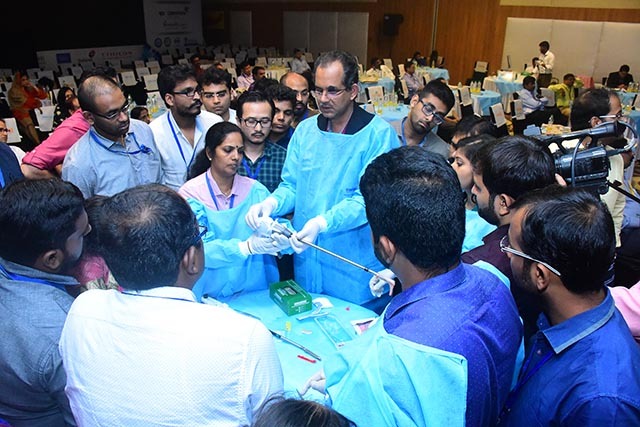 This year wet tissues for anastomosis, suturing and stapling were arranged. 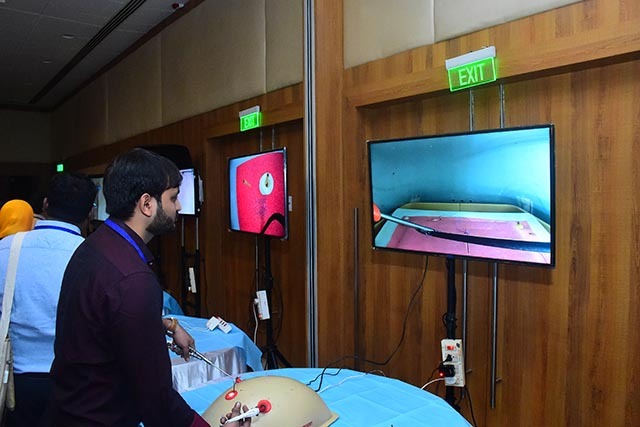 Simulators for laparoscopy, stapler haemorrhoidectomy and endo trainers were also be available. 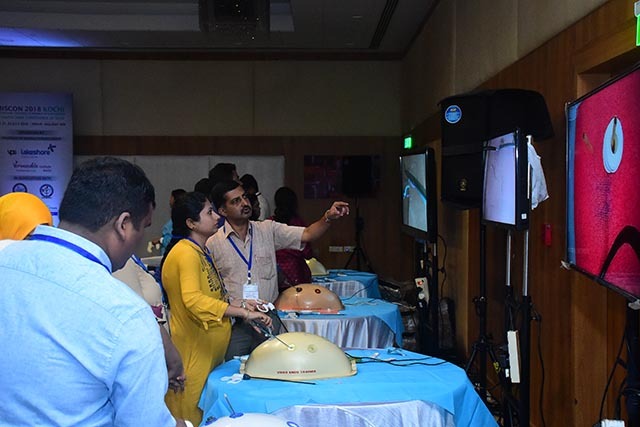 On 21st and 22nd July - Live Operative Workshop with two-way interactive communication from VPS Lakeshore to Hotel Holiday Inn, the venue of the meeting. 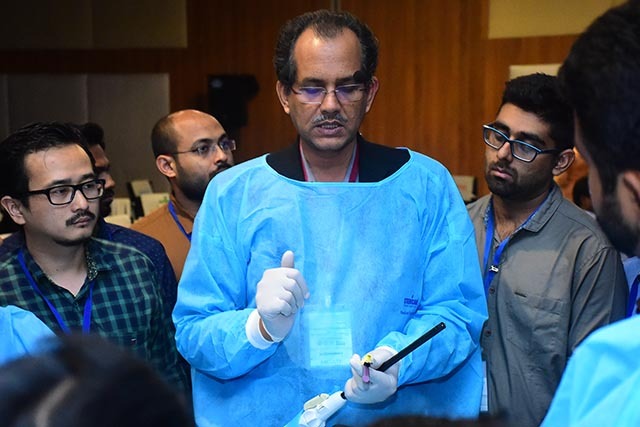 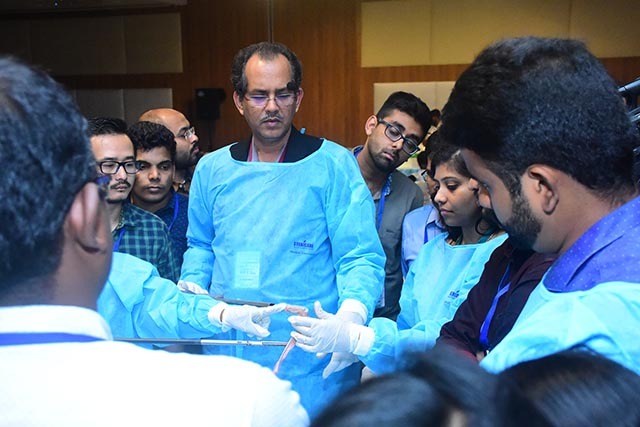 The Live Operative Workshop covered large varieties of procedures ranging from basic to most advanced and was performed via minimal access by distinguished national and international faculty. 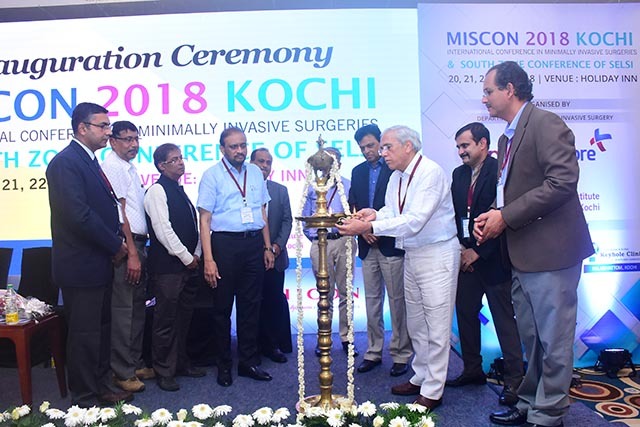 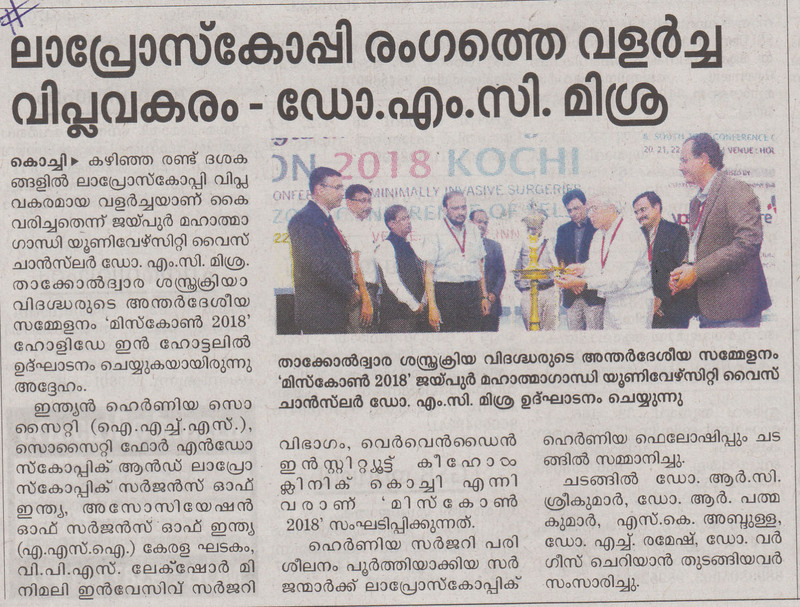 As usual, MISCON 2018, the international meet at Kochi, was an umbrella for a number of associations, was highly informative and educative and thus was fruitful for all practicing surgeons and PG students. 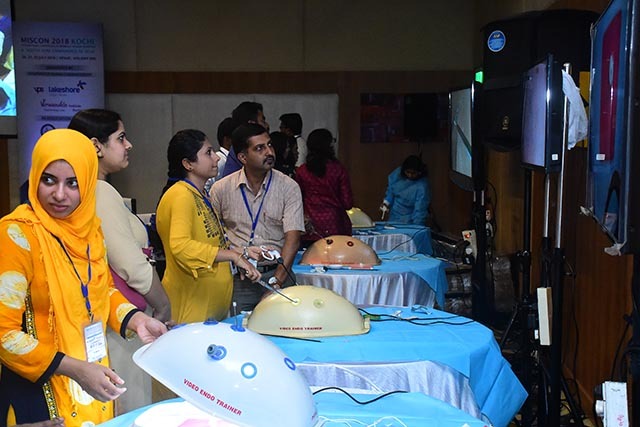 The scientific program was very rich in substance.